2017 is a Remarkable Time to be Alive, to Say the Least! Voice-controlled products are being utilized more than ever, as their prices have decreased and their overall quality has improved exponentially. It’s not difficult to see why these products are so beloved by owners: they offer a substantial number of capabilities and features to choose from. This makes their lives easier since they have everything they need in the palm of their hand. What’s more is that these topics are just the tip of the iceberg; there’s a colossal amount of topics and subjects these products can provide insight to. These voice-controlled products also serve practical purposes as well—don’t be surprised if a neighbor or friend uses their technology to operate the lights or air conditioning! Between the low price of voice-operated technology, its ease of use, and multitude of functions, it shouldn’t come as a shock that an astonishing (and growing) number of individuals are making it a part of their everyday lives; voice search growth is off the charts. Just How Many People Use Voice Search, You Might ask? Multiple studies and surveys have found that thirty million or more voice-controlled products will be used in the US by the end of 2017. Amazon’s wildly popular Echo product has been purchased by over eight million Americans to date! The wide-ranging effects of this technological breakout would take quite a while to review overall, but one industry directly altered—and innovated—is that of travel and accommodations. Many customers use voice technology to plan their trips in detail, from the restaurants they’ll dine at to the hotels they’ll lodge at and even the transportation they’ll use to get around. Word of this planning method’s benefits is further adding to its appeal, and the culmination of these points is a change to the way people plan and book their vacations. Things are getting easier to do with voice, and people are taking note. Instead of searching for phrases with a keyboard, travelers today are asking voice assistants their questions directly. More than being extra-convenient, this style of researching and deciding upon accommodations and travel variations is resulting in Alexa and Google Assistant (amongst others) becoming full-service planners and advisors. They are not only by providing information to users, but they are doing so by providing information to users based upon their inquiry history and general preferences. In essence, this technology has resulted in a constantly available, all-knowing, and affordable travel associate for many types of customers to benefit from. The OTA’s Are On Board, Are You? To expand upon this point, voice search optimization—a cross between voice search and SEO —is taking the travel industry (like so many others) by storm. Many travel businesses have already benefitted greatly by implementing voice search optimization techniques. Leading OTAs have publicly noted the value in voice search optimization and are beginning to alter their brands to suit the needs of a quickly changing market. This means a number of things for voice search, including establishing “personal” and “tailored” relations with customers through a digital platform, quickly sifting through extensive information to please the customer, and doing both of these things without overwhelming users—especially those who aren’t “tech-savvy”. The point is, big-name OTAs aren’t simply offering their good wishes to voice-controlled travel arrangements—they’re investing in and building their systems around them. Even so, you don’t have to be left out of the action. Now is the time to get in on the voice-controlled travel craze. 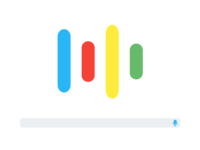 There’s still plenty of room to grow and expand your business with voice search optimization. As was stated initially, technology is changing at a breakneck speed today. It’d be easy to sit back and become enamored with this monumental evolution, but as travel business and hotel professionals, this should be a time of action, to assure that growing trends don’t turn into headaches in the near future.